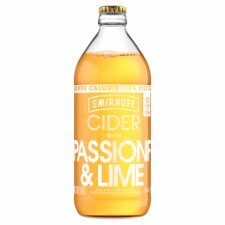 Discover a new take on cider from Smirnoff. 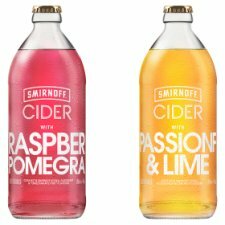 Smirnoff Cider, a mouth-watering combination of cider, Passion Fruit & Lime Fruit flavours and Smirnoff vodka. 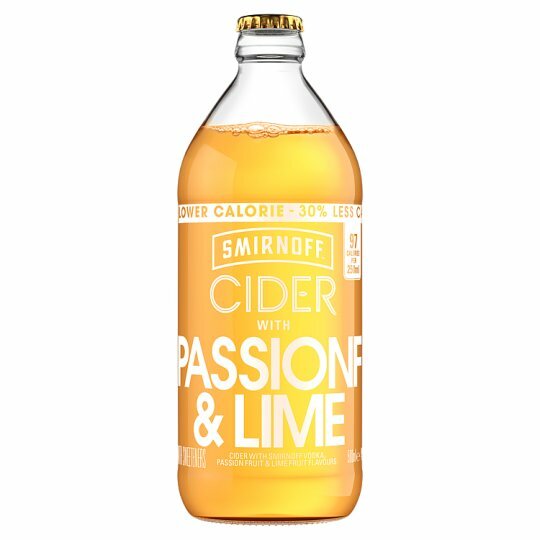 Lightly fizzed, crisp on flavour for a refreshing taste. Perfect for those long summer evenings. 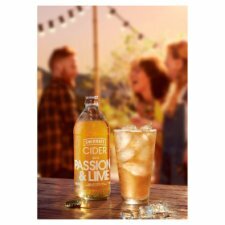 Enjoy served over ice or chilled straight from the bottle, with friends.